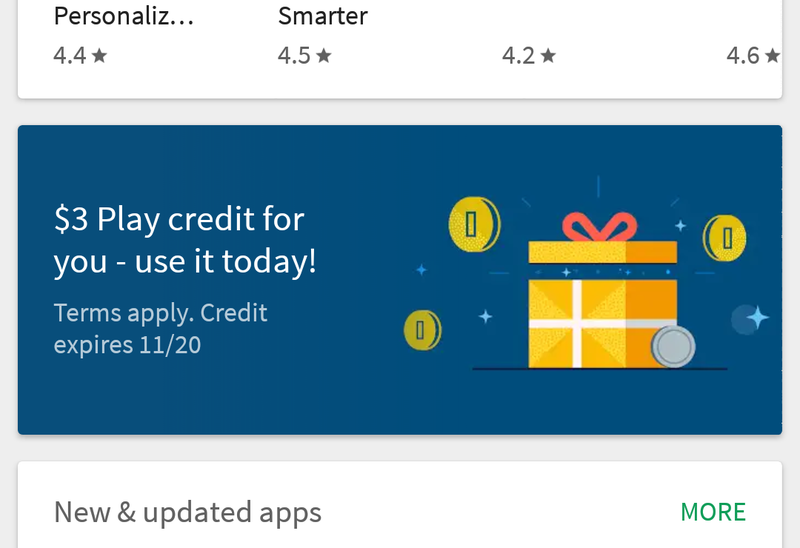 Everyone likes free money, and you can maybe get some of that right now in the Play Store client on your phone. We've gotten numerous reports of a free credit offer appearing in the store, and some AP staffers have seen it themselves. So, what are you waiting for? Google is an American company, as in the United States of America. That means that sometimes - okay, a lot of times - its new programs and promotions are first and often only available to Americans. But today our neighbors to the north finally get something that we don't. And it's pretty sweet: twenty bucks of free credit in the Play Store for owners of the Chromecast 2015 and/or the newer Chromecast Audio! That's better than a free Tim Horton's run. 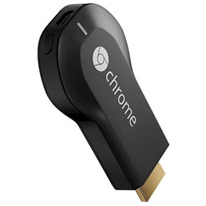 It looks like this offer is also good for Chromecast Audio units. Huzzah! 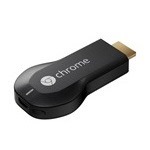 The Chromecast is already a pretty fantastic deal for a streaming gadget, and it just keeps on giving. 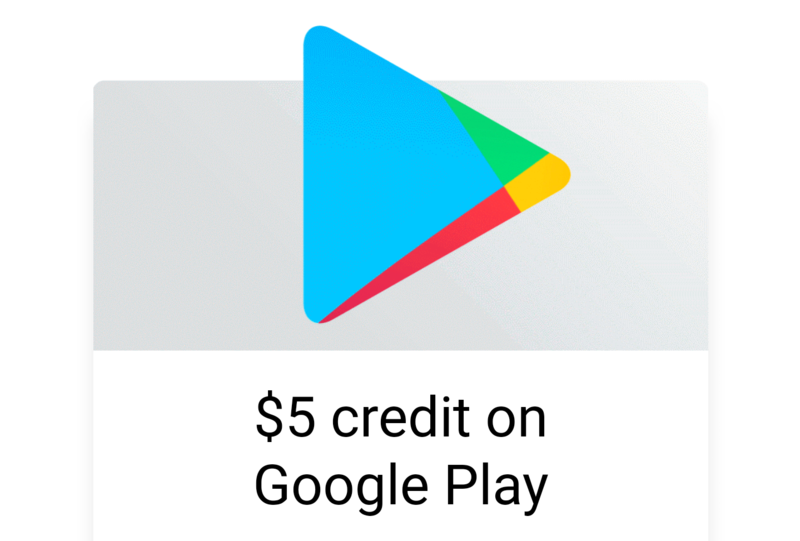 It looks like Google is repeating the $6 offer it extended back in February, giving users six bucks of Play Store credit for each Chromecast and Android TV box associated with their account. 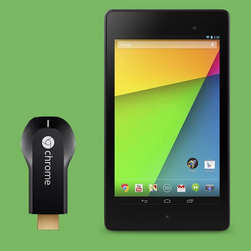 The credit stacks - I have both a Chromecast and a SHIELD TV, so I now have $12 in credit just begging to be used. Thanks, Big G.
We've seen this credit activated for both the original and updated version of the Chromecast, plus the SHIELD TV and Nexus TV. 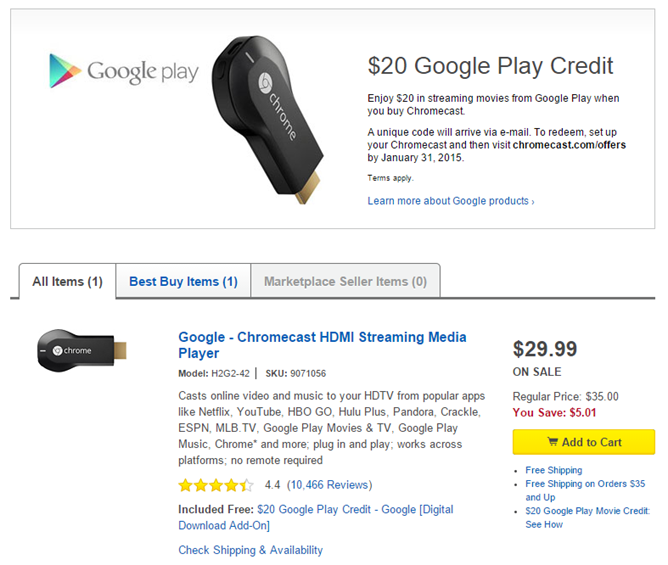 If you're one of the few people in the US who wants a Chromecast for your living room and doesn't yet have one, you might want to check out this Best Buy sale. The already inexpensive dongle has been reduced to $29.99 ($5 off), and it comes with $20 of free Google Play Store credit. 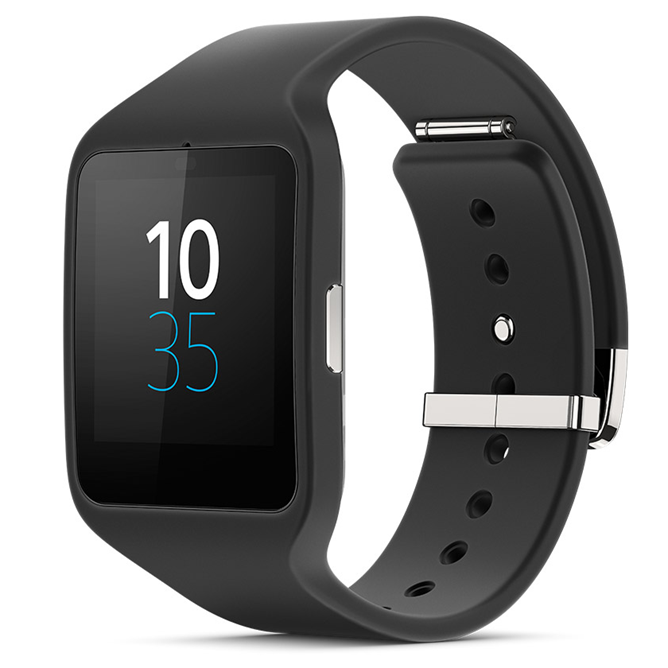 Assuming you'll eventually spend twenty bones on the Play Store (and I should hope any regular AP reader would), the effective price is a cool ten bucks. 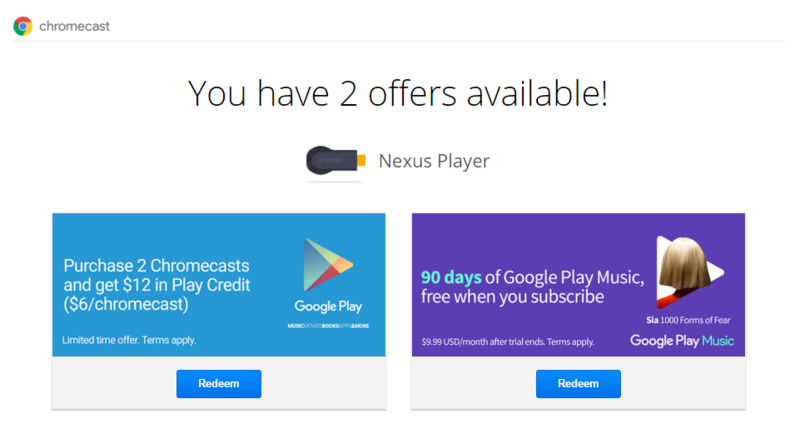 The offer is in addition to Google's standard Chromecast promotional package, which currently includes 90 days of Google Play Music All Access, two months of Hulu Plus, a free copy of the original X-Men from Google Play, three months of DramaFever (an international soap opera app), and a free trial of EPIX. 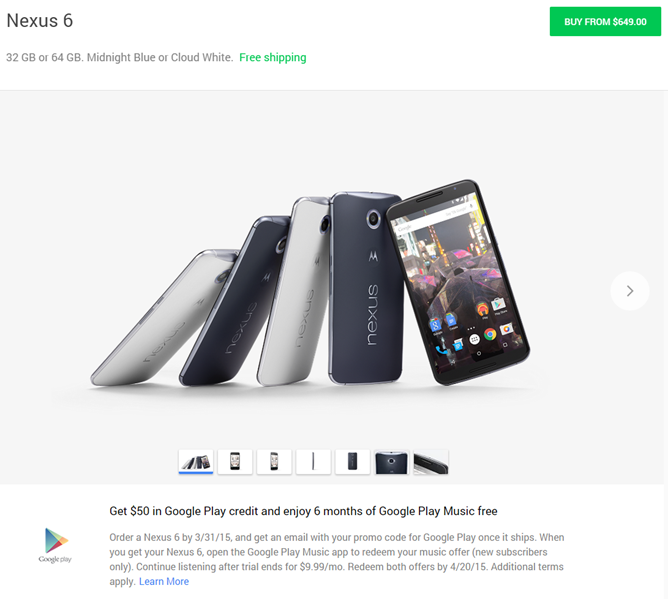 For a limited time, Google is giving out $35 in Play Store credit to anyone in the US who buys both a Nexus 7 and a Chromecast. 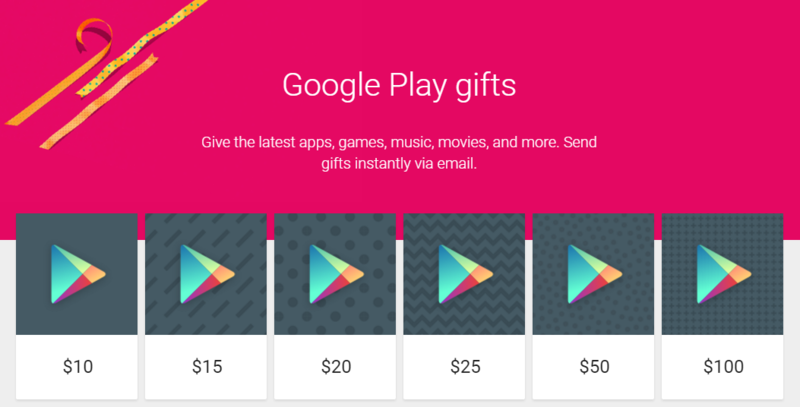 If there are enough things you want from the Play Store to spend $35 bucks on, then this deal is similar to buying a Nexus 7 with a bunch of content and getting a Chromecast tossed in for free. This offer is valid with any Nexus 7, so don't let that deter you from filling up that shopping cart. 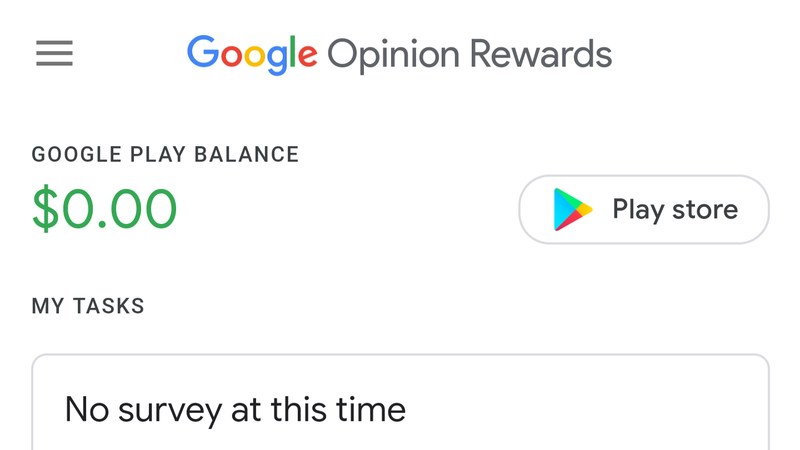 All you have to do is place an order for both at the same time, and Google will email your credit after it ships.